Sparklers have become a regular part of celebrating the 4th of July, especially for children. 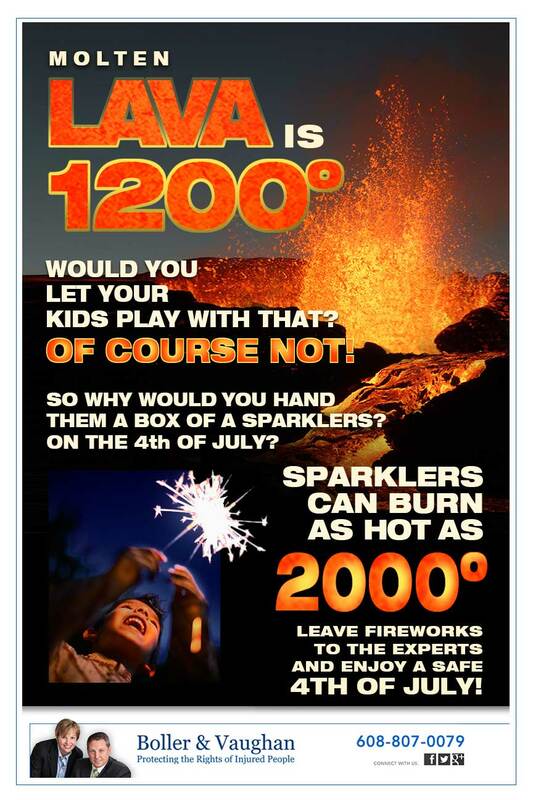 Yet, Sparklers are known for causing injuries and can be extremely dangerous. How many times have you heard a parent say, “Don’t play with matches?” Matches can burn up to 500 Fahrenheit, and can cause severe burns or injuries. Sparklers on the other hand, burn almost 4X as hot with the extreme temperature being around 1,500-2,000 Fahrenheit. If you and your family are going to use Sparklers and/or fireworks this year, be sure to follow these basic safety tips! Adults should supervise all firework activities- If you give your children a Sparkler, be sure to keep your children within seeing distance. Always have a bucket of water, or a water hose nearby in case of accidents. To dispose of used fireworks, wet them down and place them in a metal trash can away from the house and any combustible materials. Everyone should wear safety glasses when shooting fireworks. Always light 1 firework at a time, and move away quickly after lit.